Featuring A Cd : Jazz At The Town Hall, Nyc 10/26/1946 With Marty Masala, Eddie Edwards, Tony Parenti, Pops Foster And Tony Sbarbaro. 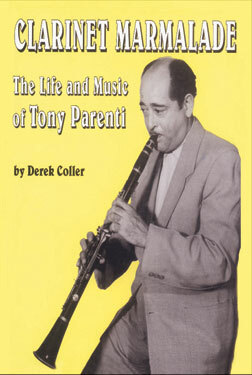 The Book Is Based Upon The Words Of Tony Parenti As Gathered By Roy Morser And Frank Gillis. 176 Pages.